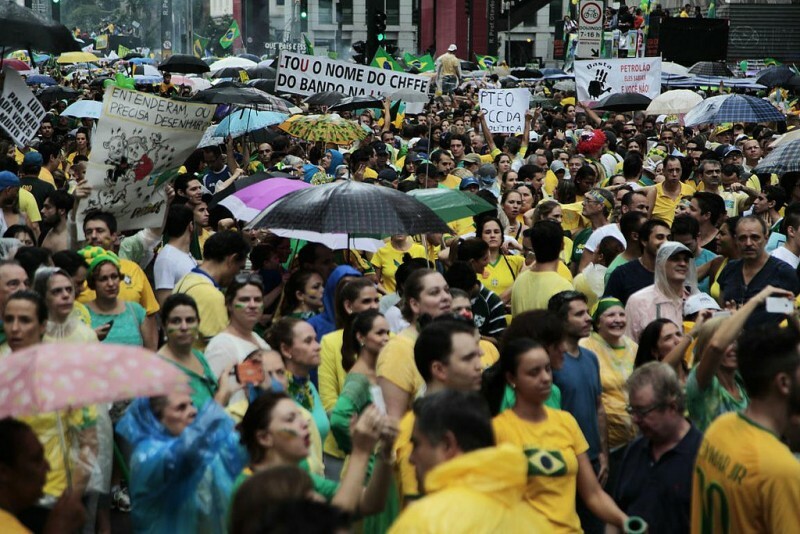 Half a million anti-government protesters are said to turn out in São Paulo. March 13, 2015. Photo: Radio Interativa / CC 2.0. Brazil has gone into a freefall in the past three weeks, with events unfolding so quickly that spending so much as a moment offline risks missing out the latest explosive news. The turbulence started earlier this month when federal police brought in Luiz Inácio Lula da Silva, Brazil’s president between 2003 and 2010, for questioning . Next, sitting president Dilma Rouseff appointed Lula her chief of staff , in what appears to be a move to shield him against prosecution. “Operation Lava Jato”—a wide-ranging investigation into a graft scheme involving the state-run oil company Petrobras and several large construction companies—has led to the arrests of more than a dozen politicians since 2014. Now prosecutors are investigating whether Lula received favors from the companies implicated in the scheme. After his arrest on March 4, Lula was released without formal charges. Following Lula’s appointment, Sergio Moro, the judge in charge of Operation Lava Jato (“Lava Jato” means “Car Wash”), released to the public nearly 50 tapes of phone conversations between Lula and his allies . The most explosive of these records is a phone call with Dilma that took place only hours before the tapes were released. In the call, the president offered to send Lula a copy of his appointment “in case of necessity,” which some have interpreted to mean “in case he needed it to avoid arrest.” Another tape shows Lula attempting to influence Supreme Court Justice Rosa Weber. When Brazil's 8 o'clock national news aired the audio tapes, mass protests broke out across the country/capital. 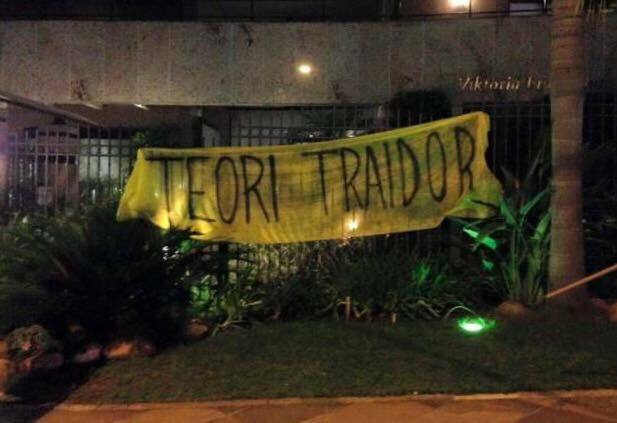 Judge Moro has become a central public figure in Brazil and many speak of him as a folk hero. Others, however, accuse him of partisanship, questioning whether he crossed a line by releasing the tapes. Lula's appointment has also prompted a judicial war, with the Supreme Court receiving 13 motions to revoke his nomination. 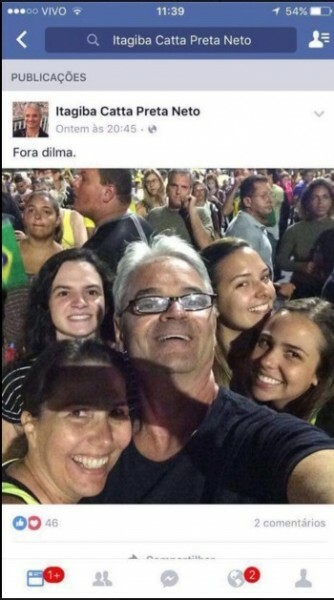 One of the judges who filed a motion gained fame online after Internet users found social media accounts where he had posted photos of himself attending an anti-government rally and speaking openly against the Workers’ Party (the party of Dilma and Lula). A preliminary ruling by Brazil's Supreme Court has frozen Lula's nomination. A final decision on his appointment is expected next week. Dilma Rouseff hasn’t been officially implicated in Operation Lava Jato, but the Brazilian National Congress has opened impeachment proceedings against her, on the grounds that she manipulated government accounts to hide a growing deficit. There's no consensus that this constitutes a legal basis on which to impeach a president, and many accuse Congress of using the country's current political turmoil to pursue partisan aims. Simultaneously, Brazil’s electoral court will soon issue a ruling about possible irregularities in Dilma's 2010 and 2014 election campaigns. A ruling against Dilma would unseat her and her vice president, forcing new snap elections. What is Operation Lava Jato? One of the most comprehensive corruption investigations in Brazilian history , Operation Lava Jato started in 2009 as a probe into a money-laundering scheme involving a local politician from Paraná, a state in the south of Brazil. By 2014, the investigation had uncovered a massive corruption scandal within Brazil’s state oil company, Petrobras, involving politicians from numerous parties and the country’s biggest construction companies. Under the scheme, top Petrobras officials and a cartel of companies conspired to overcharge the oil company for construction and service work. The extra cash benefited companies and Petrobras executives, who often shared the money with lobbyists and political figures (to whom many Petrobras executives owe their jobs). The company has had 10 billion dollars in financial losses because of the scheme, according to estimates by the Federal Police. So far, 93 people have been condemned in the investigation, including high-profile politicians and owners of construction companies. What Are the Charges Against Lula? 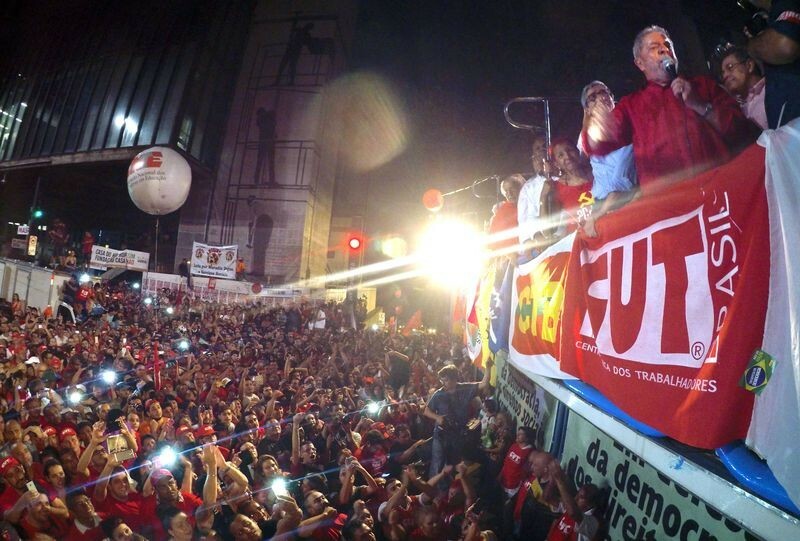 Lula speaks to a crowd of 100,000 people in São Paulo on March 18. Photo: Agência Brasil, CC 3.0. Construction companies implicated in the Petrobras corruption scheme have renovated two properties allegedly owned by Lula: a beachfront apartment and a country retreat. Both pieces of real estate are registered under the names of personal friends, but investigators found evidence suggesting that Lula and his family are effectively the properties’ occupants. The companies also gave donations to Lula's foundation and also sponsored lectures. Lula vehemently denies any wrongdoing. Prosecutors have yet to prove a definite quid pro quo between favors he received and contracts with Petrobras. 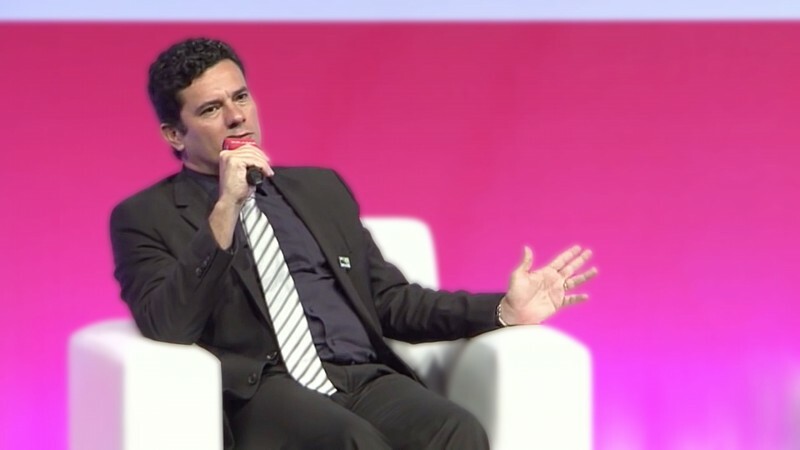 Did Judge Sergio Moro Cross a Line? Moro argues that his decision not to keep the tapes secret was motivated by the public interest, saying, “Democracy in a free society calls for those who are ruled to be aware of what rulers do, even when they seek to act protected by the veil of shadows.” Several legal experts, however, say wiretaps should only serve a judicial process, and that they don't constitute an end in itself. Justice Teori Zavascki has supported Moro's critics, arguing that the investigation against Lula should fall under the Supreme Court's jurisdiction. To make matters even more complicated, the call between Lula and Dilma was intercepted a few hours after the wiretap was formally suspended. Some IT experts have said that, since all interceptions and recordings are made by telecom operators, there is always a delay between a court ruling and the actual suspension. But many are now wondering if, in the event of a Supreme Court trial, the recordings will stand as legal evidence. More than 30 motions for impeachment have been filed to the Lower House of Congress over the past year, but it was only last week—amid the chaos surrounding Lula's nomination as chief of staff—that a plenary session finally approved one. The motion accuses Dilma of fiscal dishonesty to hide a growing deficit in the public budget. She denies any wrongdoing and lawyers say the charge isn't sufficient grounds to impeach a sitting president. Dilma herself has referred to the move as a coup attempt. Members of Congress advocate impeachment at a special House session. Photo: Antonio Cruz / Agência Brasil / CC 3.0. The impeachment will possibly go to a vote in mid-April. If two thirds of the House vote in favor, the motion is forwarded to the Senate. It's unclear whether Dilma will survive impeachment. An important development is whether the PMDB, the largest party in both houses, will break with President Rousseff's party. (PMDB is the party of Michel Temer, Brazil's vice president, who will take office if Dilma is ousted). 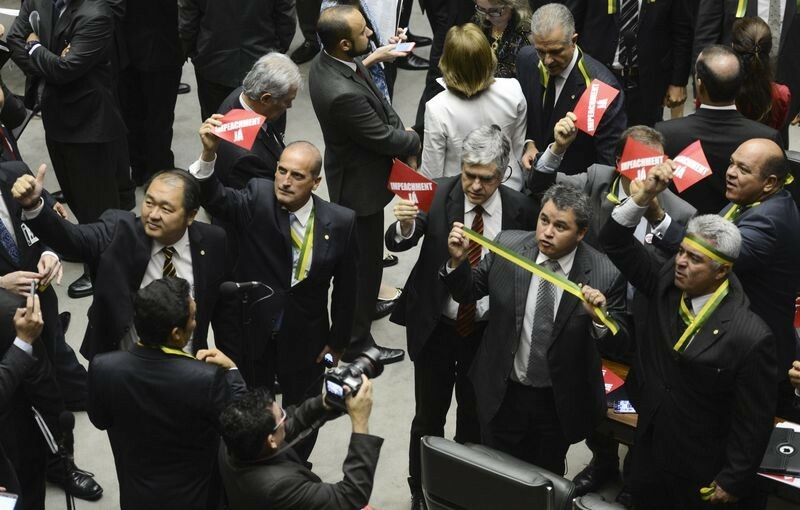 A smaller group of lawmakers has been pushing an alternative proposal: a recall vote on Dilma's mandate . Such a vote would first require an amendment to Brazil's Constitution (a lengthy process), as there is no current legal framework for recalling the president by popular vote. Proponents of this “middle way” argue that impeachment lacks a legal basis and Congress cannot oust a president just because she's unpopular—but the public could take that prerogative, they say. Who Supports the Current Government? Who Doesn't? 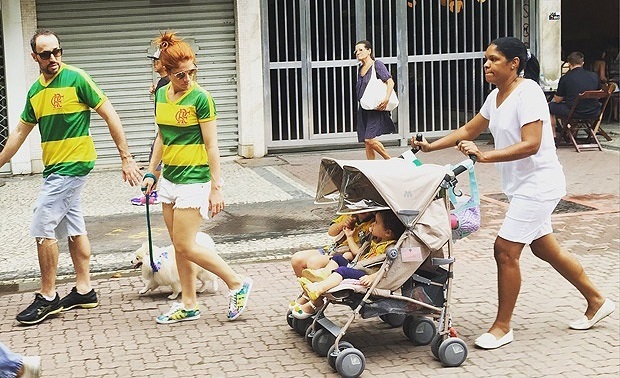 The current government's supporters tend to say that critics of Dilma's political party, the Workers’ Party, belong to the white, wealthier, upper-middle class. Some studies partly support this notion, but there's also strong evidence that the anti-government and pro-government groups are only slightly different. According to a survey carried out by the Datafolha Research Institute at two recent protests in São Paulo (one pro-government and the other against), anti-government demonstrators were 13 percent more likely to earn above US$27,600 annually. Anti-government demonstrators were also less likely to be civil servants, and more likely to own their own businesses. But at both rallies, nearly 80 percent of demonstrators were university graduates (in a city were only 28 per cent of the population finished college) and more than half earned above $15,600 a year (while only 23 per cent of São Paulo makes that much). All in all, it shows most people going to streets belong to the middle-class. But as the national crisis drags on, the two groups appear to be increasingly polarized. This is perhaps the most worrying trend of all.